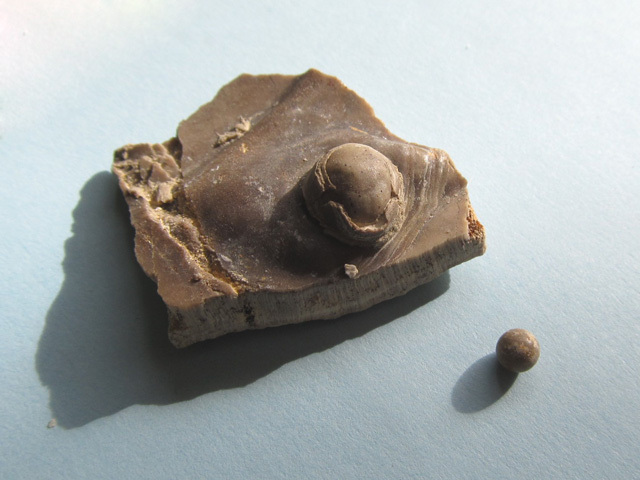 Yes, two fossilized pearls from the Niobrara chalk of western Kansas. My son found them and gave them to me. The small one measures 4 mm diameter and the larger 8 mm. 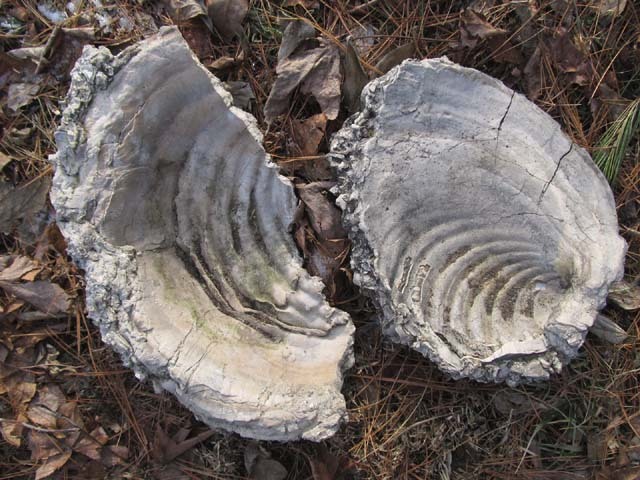 Giant clams lived in the inland sea that divided north America during the age of the dinosaurs. They grew to five feet in diameter. The small one on the right measures 11 x 9 inches and the piece of a larger one 7 x 15 inches. Oysters crowded together on the giant clams. 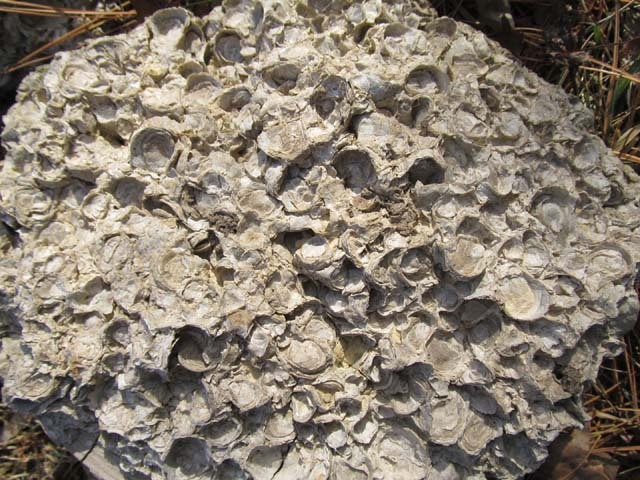 Fossilized clams and oysters are common. Fossilized pearls are rare. That’s pretty amazing! 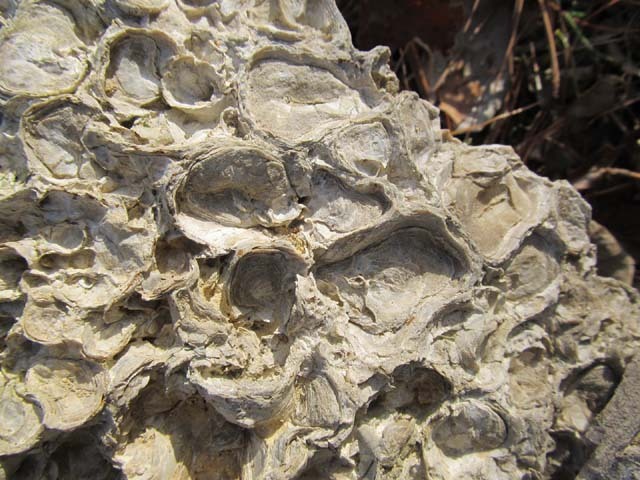 I’ve never thought about pearls becoming fossilized. Mike came out to fossil hunt with us when Keith was stationed out there. The fossil are absolutely fascinating out there. Even the tall road cuts have lots to offer. Did I ever tell you I “dig” fossils? One of my chickens recently hatched 7 chicks but the eighth didn’t make it and the partly opened egg with the chicken curled inside looked exactly like your fossil. That is a very good idea. It’s always a positive challenge to find the right names! One of the chicks is a pale lemony white and Pearl would suit perfectly. The base it sits on looks like the inside of a fossilized oyster shell so I would guess its a pearl! So cool! Correct in your assessment. And they are so cool. Great finds for your collection! At first glance on first photo, I saw fudge. lol Must be because I’m graving something sweet right now….